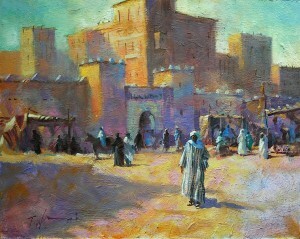 Medina Morocco oil on gessoed board 20″x 16″ Framed. A colourful painting with heavy textured surface. Long shadows describe the time of day as late afternoon in this Moroccan impression.